A classic gift that exudes great taste. Six brownies (approximately 2.5 oz. each—imagine holding a chunk of gold. 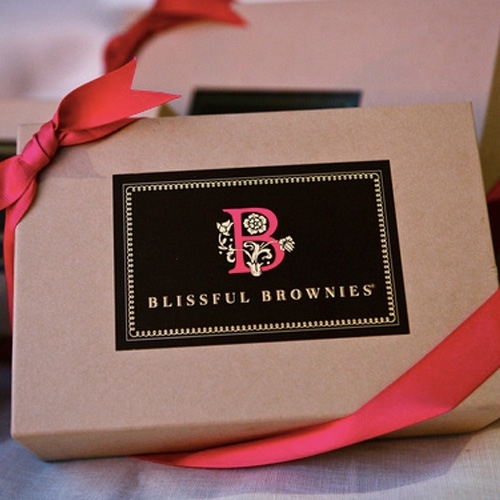 Very dense) nestled in tissue and packaged in our elegant gift box.